My Billingham bag has clearly seen better days, I joke about how many tours of Vietnam it must have survived, but that gives it genuine charm. I found it on ebay and picked it for a song – £30 rings a bell. It was missing the original padded partitions, but I recycled an old foam sleep mat and now have a secure place for my camera and lens. 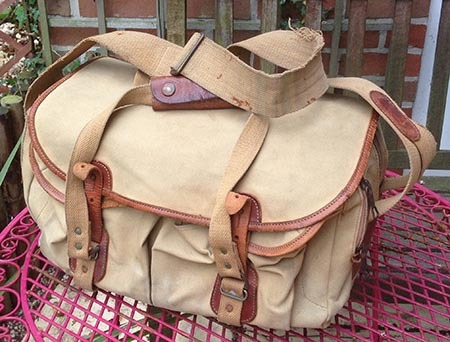 It’s a comfortable bag to carry with a broad shoulder strap and, despite its obvious age, all of the zips and fasteners still work fine – that’s the joy of having some good old-fashioned technology (canvas, leather straps and stud fasteners and weather flaps), there’s nowt to go wrong.